Got a hard-to-please dragon lover in your life? Then get them the official License to Slay from the good folks at Damn elf Press! 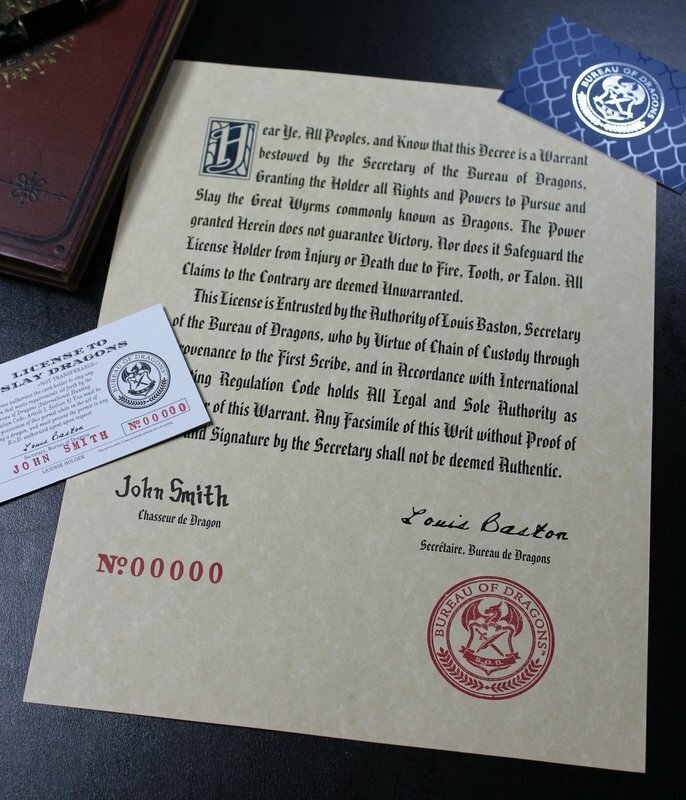 This certificate features gorgeous calligraphy, an official seal, and your name, giving you (or the dragon enthusiast in your life) the legal authority to take them on. So make it official (because maybe you're the dragon lover) and apply for one today...damn elves!